Midlife non-Hispanic white mortality in the United States is rising, particularly in small metro and rural counties. This article responds to calls for county-level studies. 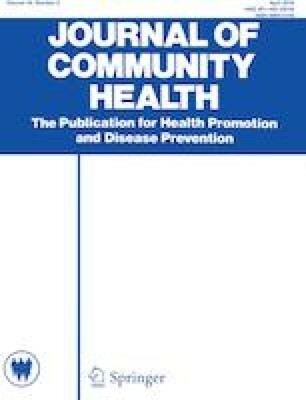 We examine social determinants of morbidity and mortality among adult non-Hispanic whites in Yavapai County, Arizona, as part of an integrative study. We report overall mortality trends in Yavapai County using CDC Wonder data and then examine social determinants of reported physical health and mental distress in Yavapai County data using 6 years (2011–2016) of the Arizona Behavioral Risk Factor Surveillance System (BRFSS). The BRFSS includes 1,024 non-Hispanic white respondents aged 25–64. We also present data from the recently established Yavapai County Overdose Fatality Review Board (YCOFRB). Mortality trends indicate that suicide and drug and alcohol-related mortality have all increased since 1999. These increases affect all 5-year age groups from 25 to 64 and both men and women. BRFSS data show that low education and unemployment, but not number of children or home ownership, are significantly associated with worse reported health and frequent mental distress in multivariate analyses. The YCOFRB point to the importance of homelessness and mental health. The mortality crisis in Yavapai County is not restricted to midlife or to drug-related deaths. The unemployed and those with low levels of education are particularly at risk. There is a need for integrative approaches that use local data to elucidate social determinants of morbidity and mortality and to reveal structural determinants. MA Parsons was supported in this research by the National Science Foundation Cultural Anthropology Program and Sociology Program (#1658528). SD Barger was funded in part by the Southwest Health Equity Research Collaborative NIH U54MD012388. The views expressed in this article do not represent those of the National Science Foundation or the National Institutes of Health. We have no conflicts of interest or financial conflicts to report. US Census Bureau. American FactFinder. [Online]. Retrieved from https://factfinder.census.gov/faces/nav/jsf/pages/community_facts.xhtml. CDC and NCHS. (2018). Underlying cause of death 1999–2016 on CDC WONDER Online Database, released December, 2018. [Online]. Retrieved from http://wonder.cdc.gov/ucd-icd10.html. Stone, W. (2016). Residents Call for Regulation of Sober Living Homes in Arizona. National Public Radio, 2016. [Online]. Retrieved from https://www.npr.org/2016/08/22/490969839/residents-call-for-regulation-of-sober-living-homes-in-arizona.